Our philosophy is simple. We are educators. We teach our customers how to take care of their swimming pools and spas so that they can enjoy using them safely. We understand that the average swimming pool or spa owner has limited knowledge about hydraulics, equipment, plumbing, and chemistry. It’s our job to take the mystery out of these things and make it simple. KrisCo Aquatech Pools is a family owned business serving the Puget Sound area since 1982. We have a reputation for excellence that is based on our design skills, craftsmanship, construction expertise, and business practices. Awarded time and again by our peers, we are proud of the product that we, at KrisCo Aquatech Pools, offer you or clients. Whether it is simple and budget-friendly or an exotic backyard retreat, KrisCo Aquatech Pools has the experience and talent to make your backyard extraordinary. All of our pools are designed to fit your lifestyle and budget, without ever compromising on solid construction standards. With years of experience and talent behind us, we offer our customers creativity, quality, value, and attention to detail. Over 80% of our new customers are from referrals. Founded in 1997, SpaDepot.com is USA's favorite discount retailer of hot tubs, spa covers, filters, supplies & repair parts. Call us for expert assistance: 1-800-823-3638. Our sauna consultants help you make the best fit for your needs. Our sauna consultants are accomplished professionals, who've tested sauna heaters and steam generators from all brand manufacturers. “Cedarbrook Sauna & Steam is unique in its approach to selling saunas,” says another customer. “They are seasoned sauna and steam users.” To businesses in need of a commercial sauna or steam room, our consultants are completely equipped to answer all of your questions while pointing out the latest trends and cutting edge products. “We provide great service by customizing each sauna carefully to what the customer needs,” says one appliance consultant. “Our prices are also cheaper than most other online sauna and steam sites.” Why Buy from Cedarbrook Sauna and Steam? -We have nearly 40 years of experience in the sauna industry. -Since we started our company, 1971 – not combined persons' experience -Saunas and steam is our only business, not a secondary business like a Pool or Spa Company. 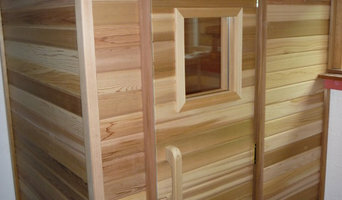 -We double inspect all sauna lumber for high quality. -We have quality, informative support both before and after the sale. -We are a Scandinavian family-run business. Saunas are just in our blood. -Cedarbrook's benches have commercial thick (2" nominal) bench tops that are bottom-screwed and back fastened with no exposed metal that could burn your skin. -We cover the entire US for both residential and commercial sauna and steam applications. Want to do it yourself? We can help there too! -Cedarbrook handles heaters from the World's two largest and oldest heater manufactures: Tylo from Sweden and Saunatec (Polar Heaters) from Finland. -We stand by our word! Aqua Rec's, Inc. is your choice for all of your pool contracting needs. Aqua Rec's Fireside Hearth N' Home is our retail division available for hot tubs, spas, gas, wood and pellet burning fireplaces. At Aqua Rec’s we are your one-stop solution for pools, hot tubs and spas, gas and wood burning fireplaces. With everything we do, we continually strive to be ahead of our competitors and at the top of whichever service industry we approach. Our customers are always our highest priority. We believe that we are more than just a business; we’re a family, and our customers are the most important members. That’s why our focus is not necessarily to make money—it’s to help you save it, both now and in the long-run, and to give you the pool, spa, or fireplace, of your dreams. In 1976, Aqua Rec’s began providing residents of the Puget Sound region with custom pools and spas. As technology has changed and adapted, so have we, but our underlying principles have remained the same. We work with the natural landscape and your vision to give you a beautiful water-based oasis. When you consult with our experts about your custom pool or hot tub, you become a part of the process and we can better understand how to best serve you. In the years since 1976, Aqua Rec’s expanded to provide even further service to those near Puget Sound. We began providing the highest quality fireplaces, stoves, inserts, and barbecues, as well as heating and cooling services and products. In fact, our fireplace and stove division have even surpassed what we do with pools and spas. This is due not only to the quality of products we sell, but also to our customer service mindset. We go above and beyond to provide you with helpful information that can help save you money, like our huge product discounts and clearances, as well as signing up for the Tacoma-Pierce County Wood Stove Program. Even though this last part isn’t specifically part of our products or services, we want to make sure you are aware of the ways to save. Aqua Rec’s is a second generation family owner business that literally started servicing out of our garage in 1976. Today, we are proud that we service more pools, spas, and stoves than any company in the entire Puget Sound region. Our in-house service department services and repairs all brands of pools and hot tubs, as well as stoves and fireplaces. Please call us at 1-800-358-3537, as we would be honored to provide you the service you need. The mission of Ole’s Pool & Spa is to provide quality, professional products and services at a competitive price to the retail commercial and residential swimming pool and spa industry in Port Orchard, WA. We stress customer service first and foremost as we strive for 100% customer satisfaction. We take pride in the number of customer referrals we receive each year and our Better Business Bureau’s “A” rating. Our company motto is as following: Give our customers what they expect and you will have a happy customer. Give our customer more than they expect and you will have a happy customer for life. Thirty + years experience in most all areas of the pool & spa industry. Honest Answers - Great Low Prices ! All Star Pool & Spa, Inc, founded in 1993, specializes in construction, renovation & services of in ground and negative edge shotcrete swimming pools, spas and water features. Our aquatic design team has a combined total of 44 years of hands on experience in dealing with the unique features and requirements of each project. We have a well earned reputation for satisfied customers, on schedule construction, and continued follow up service to those customers. We have been a member of the Better Business Bureau since 1998 and we are also a member of the National Plasterers Council. 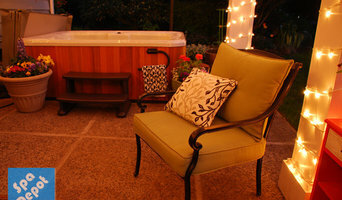 A Premiere Spa Company located in Kirkland, Wa. Ken's Pool & Patio is a family owned and operated company that is licensed, bonded and insured. We have been in business for over thirty years with a staff of quality trained workers. We have developed a reputation for quality service at a reasonable price. Ken has been involved in the swimming pool industry for over 50 years. The Watermill, was started January 1976 and is a family owned and ran company, two generations of ownership. The Watermill sells products and services that we are confident will provide the customer years of enjoyment. We provide supplies, service, maintenance, sales and technical expertise for Commercial and Residential swimming pools, saunas, steam rooms, spas, hot tubs, jetted bath tubs, fountains, ponds and other water features. This includes, but not limited to, equipment, chemicals, safety and maintenance supplies, accessories, toys, games, and backyard decorations. Hot tub and pool service, repair, supplies, and sales. Hot tub and pool chemicals, covers, lifters and accessories. Customer service is our specialty. Our wide range of industry leading water treatment products and services enables us to serve the needs of any residential customer. We offer warehouse pricing on the very best in pool, spa, and water treatment chemicals, equipment, and service. What exactly do Issaquah pool builders do? If you are planning for a new pool in Issaquah, WA, a swimming pool builder will analyze your outdoor space and your aesthetic wishes to determine an appropriate design for your yard, installing it once the plan is developed and approved. Once installed, some pool companies in Issaquah, WA can handle the necessary cleanings, water testing, renovations and equipment replacement or repairs for your pool or spa. If not, many can also suggest Issaquah, WA swimming pool contractors or maintenance services to help with upkeep or repairs down the road. Here are some related professionals and vendors to complement the work of swimming pool builders: Garden & Landscape Supplies, Landscape Architects & Landscape Designers, General Contractors, Landscape Contractors, Solar Energy Contractors. Before hiring a swimming pool construction company to create your new Issaquah, WA pool, determine how you'll be using it. Will it be for fun or for lap exercise? Will the primary users be children, adults or a mix of the two? Knowing the use can help you find Issaquah pool builders who shares your aesthetic. Once you find swimming pool builders in Issaquah, WA who share your style, research is critical. Review customer references and comments, collect at least three to four estimates to compare, meet with potential Issaquah pool designers and builders in person and ensure that they are Washington certified service professionals and licensed with the registrar of contractors before making any final decisions. In addition, get a sense whether they plan to complete the pool installation and be done with it, or whether they seem interested in building a long-term relationship with you. Be wary of the former: it's likely a reflection on the level of quality of the pool construction they do. 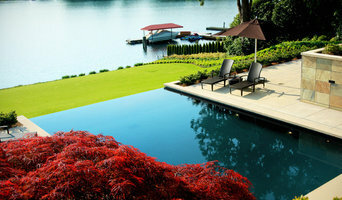 Find an Issaquah pool contractor or designer on Houzz. 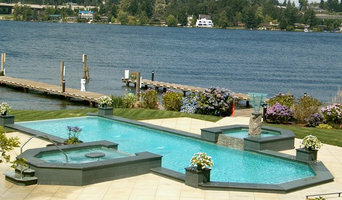 Narrow your search in the Professionals section of the website to pool builders in Issaquah, WA. You can also look through Issaquah, WA photos by style to find a pool or spa you like, then contact the local pool company who designed it.